My Grandson, Naish was over playing one day. I was tired and needed a break from playing pirates. He didn't want to play alone. 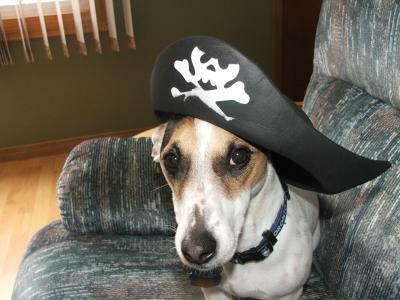 He insisted that Ryder my JRT become his matey! Once again, I had to grab the camera because he was just so cute! Keep that camera handy. Ryder is diffently not camera shy.